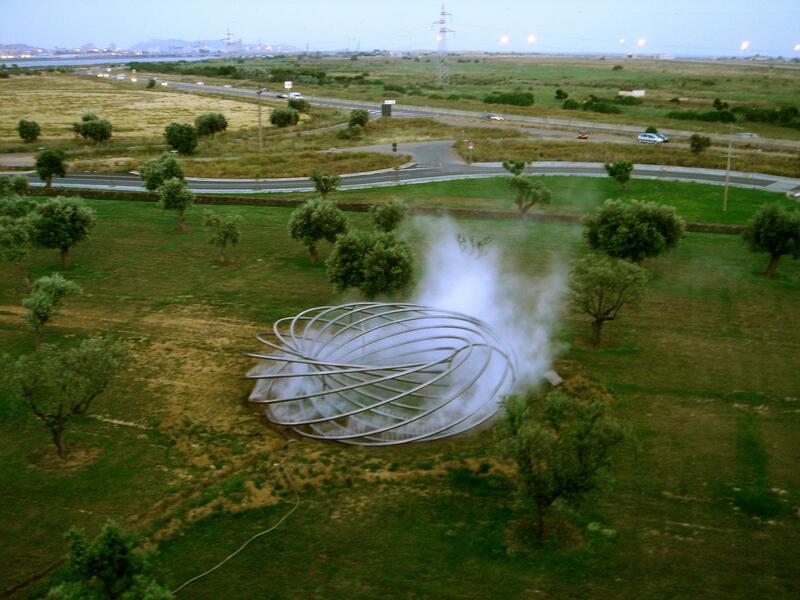 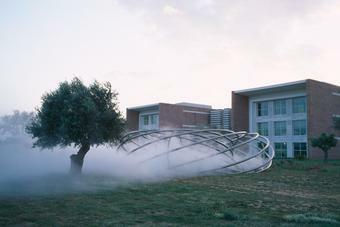 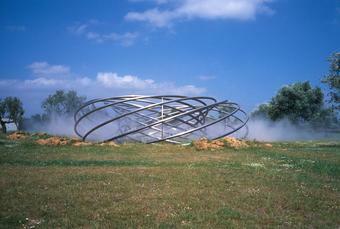 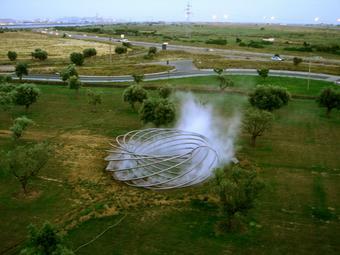 Located in a field of olives on the Tiscali Campus in Cagliari, Sardinia, Fog doughnut conveys a sense of endless motion. 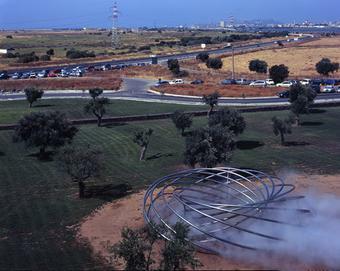 Twelve stainless-steel-tube rings spiral upwards from the outside of the work to the inside, forming a toroid structure just under three metres tall and twelve metres in diameter. 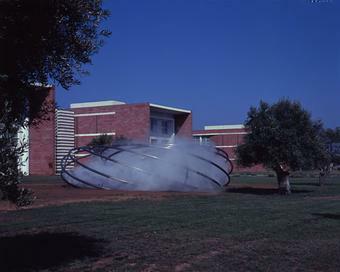 Small openings in the tubes conceal nozzles that periodically emit water at high pressure, cloaking the work in a shroud of fine mist. 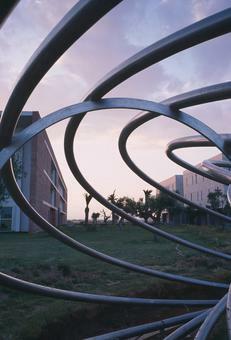 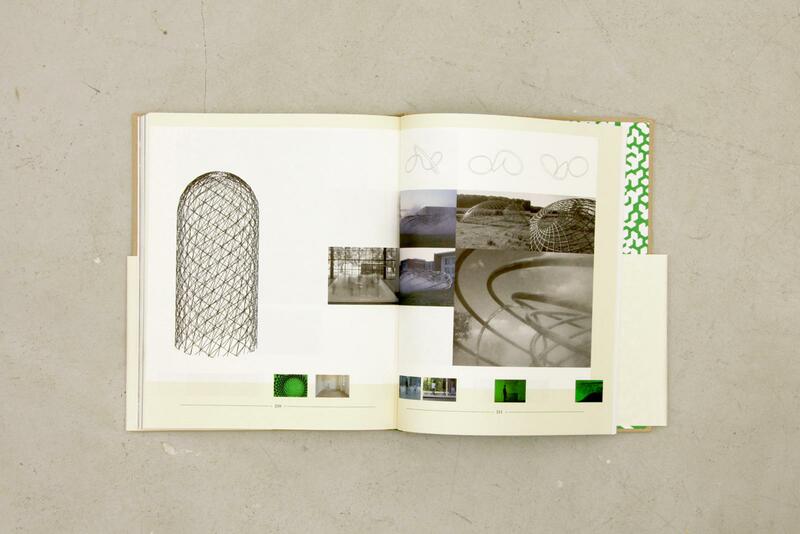 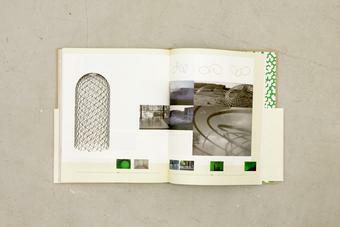 Supported by three rings, the tubes are wide enough apart for visitors to enter and move around inside the artwork.